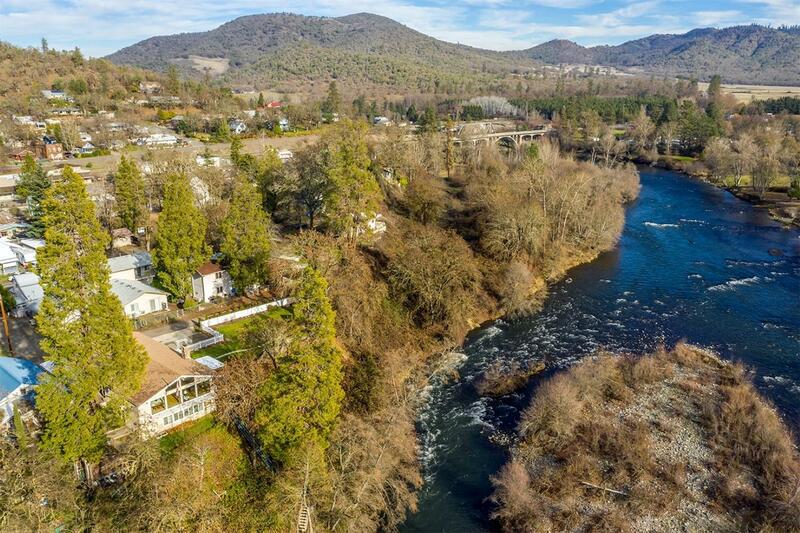 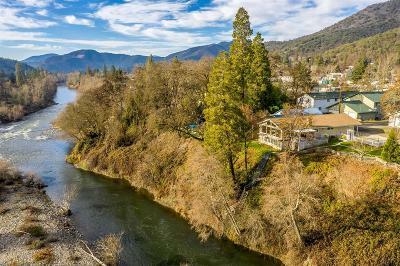 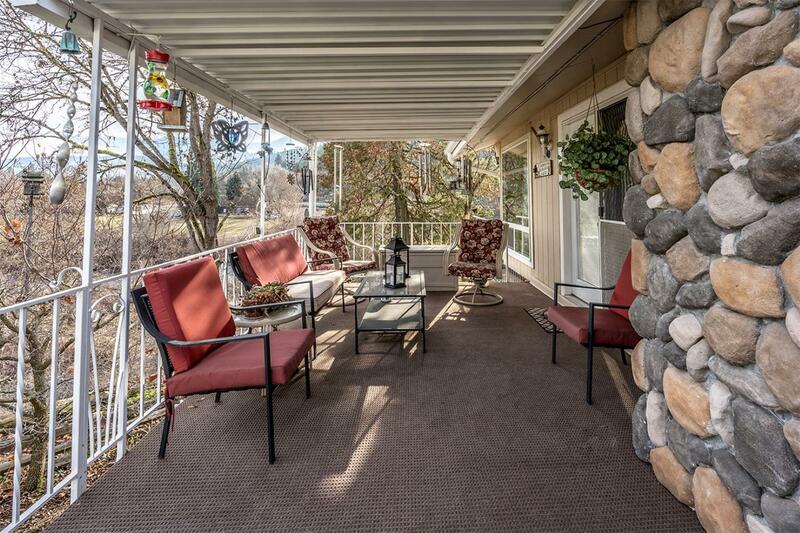 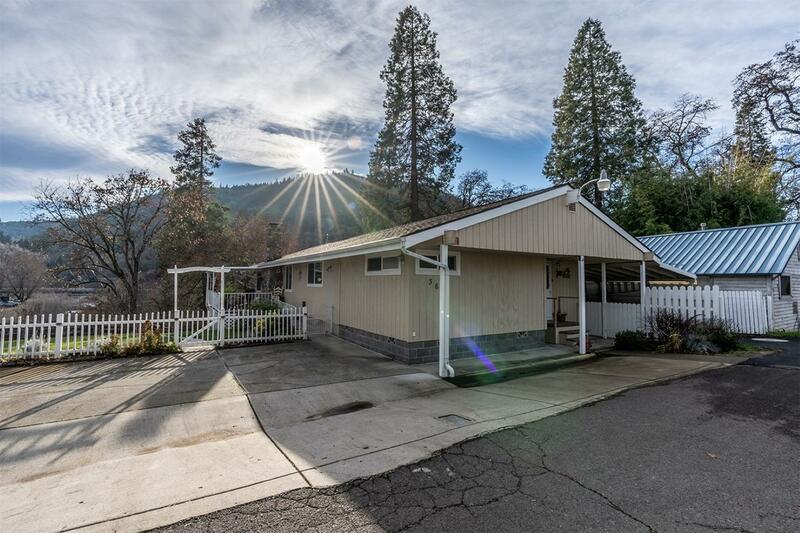 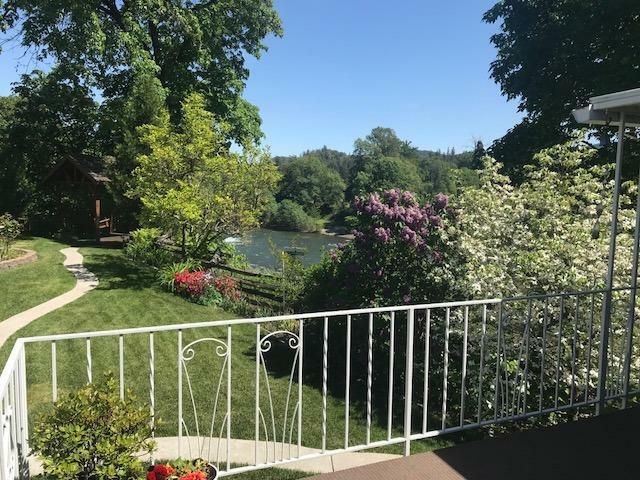 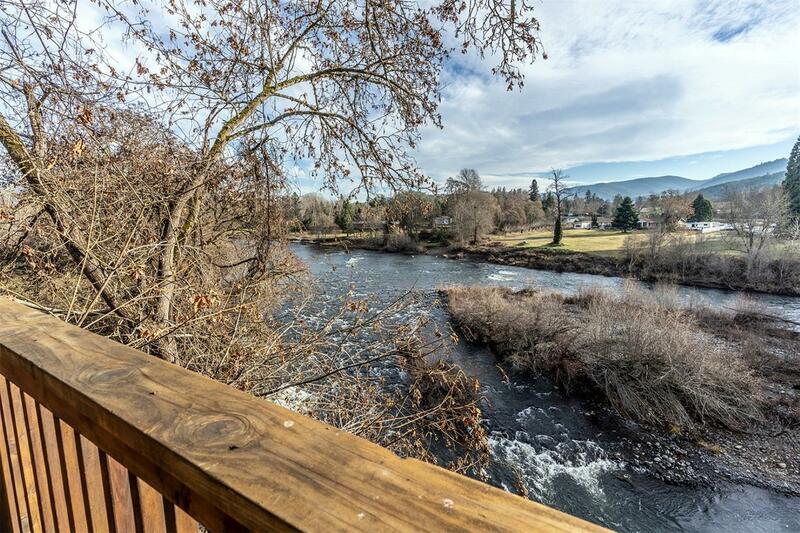 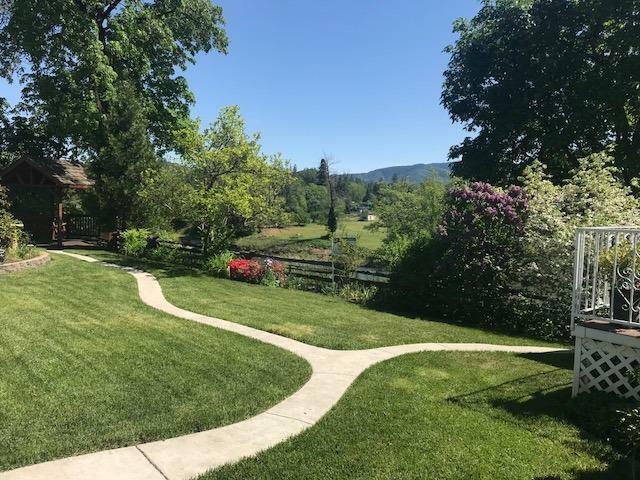 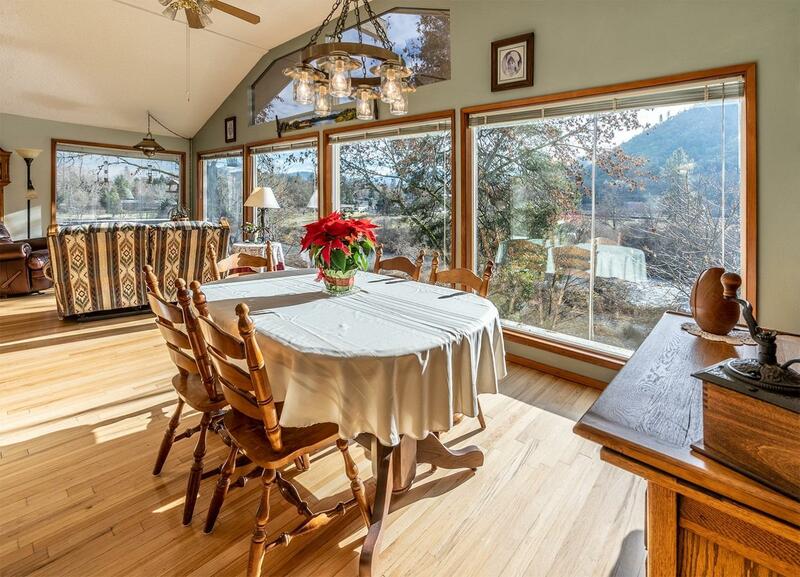 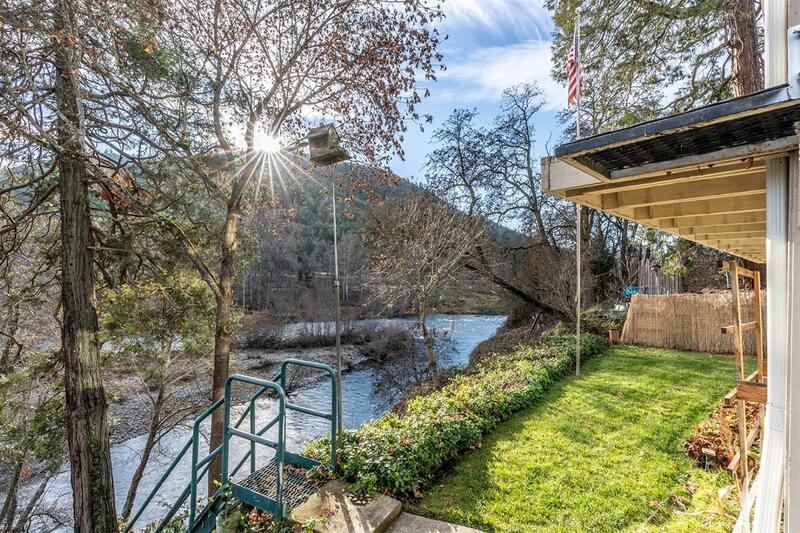 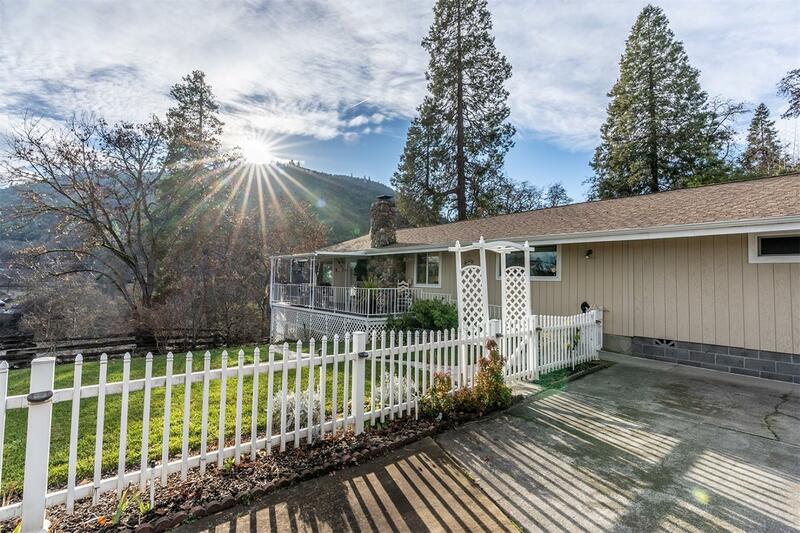 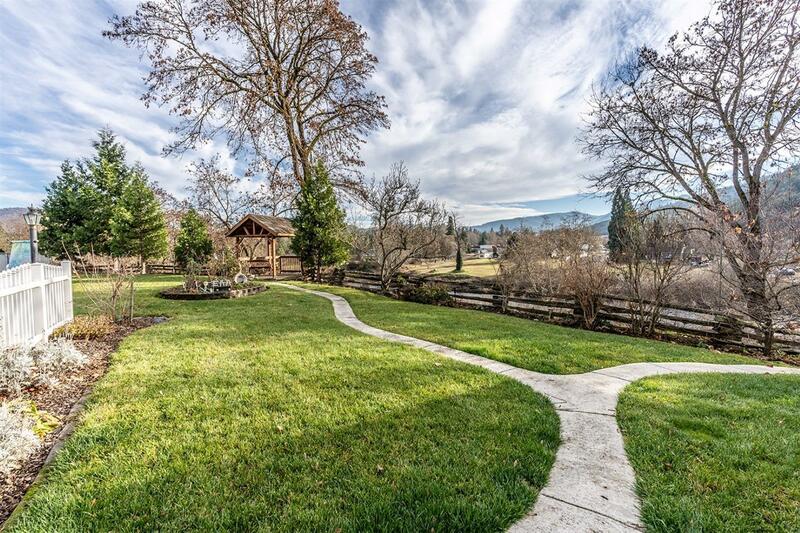 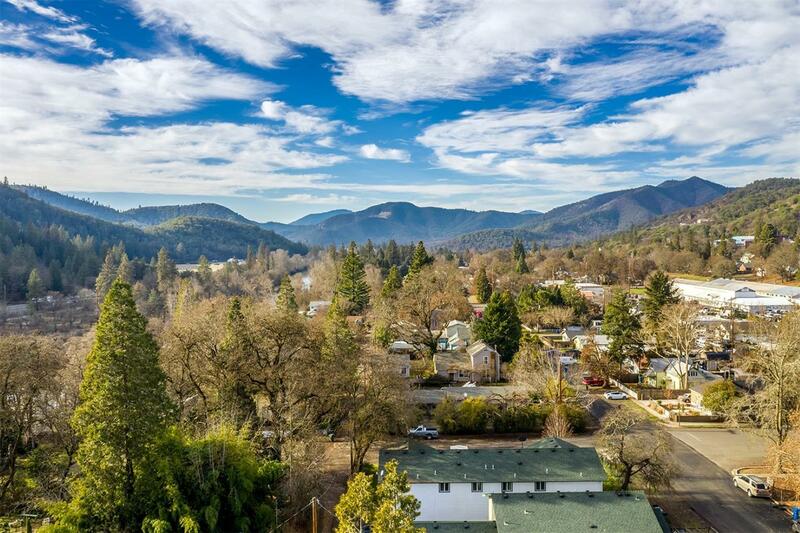 Fabulous, panoramic views of the Rogue River & surrounding mountains from this updated Contemporary home. 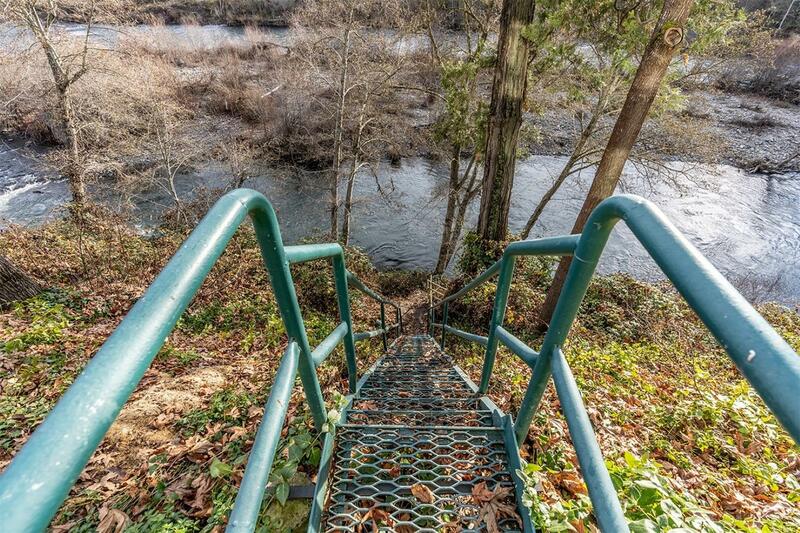 Private .80 acre lot with over 180 degrees of unobstructed views, high bank location & convenient access to the river. 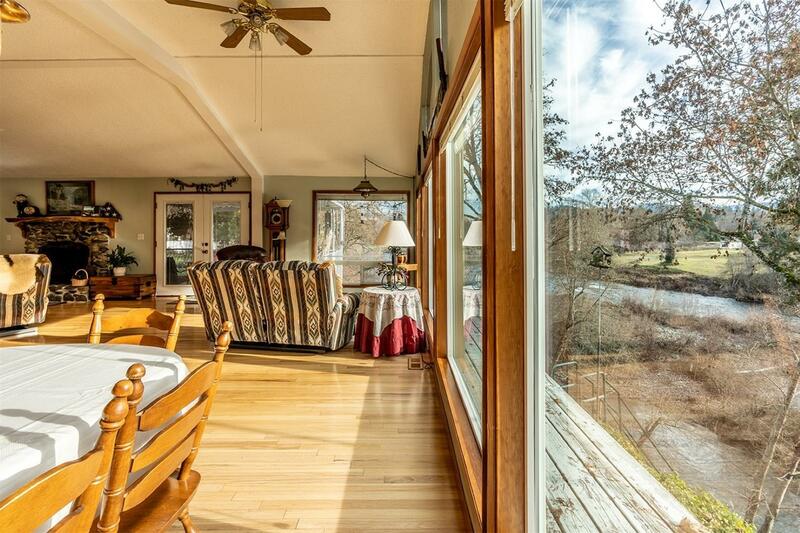 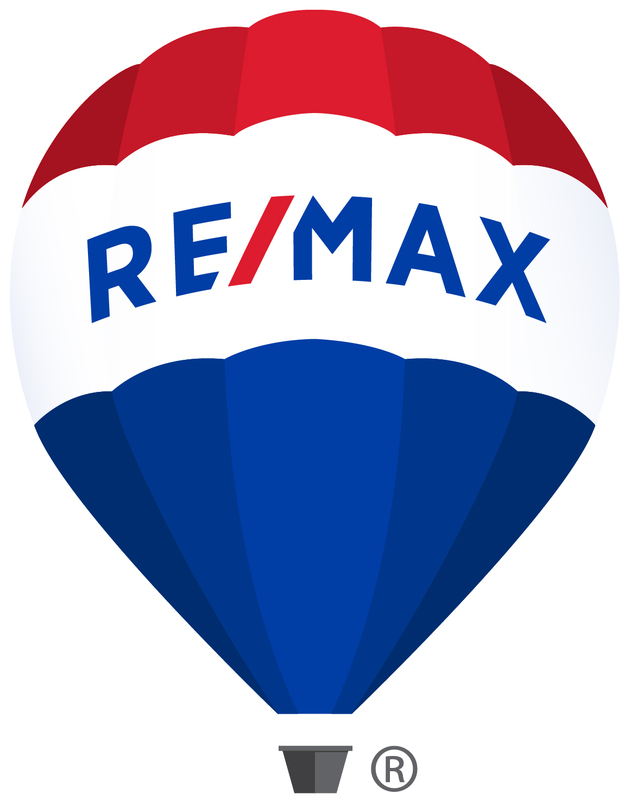 Brand new gas furnace and an open floorplan with a Wall of Windows'' allows for amazing views from all living areas. 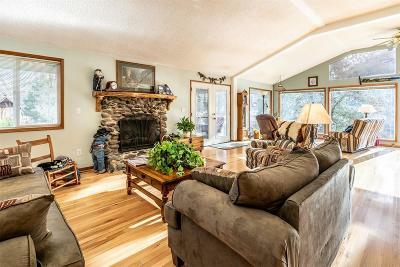 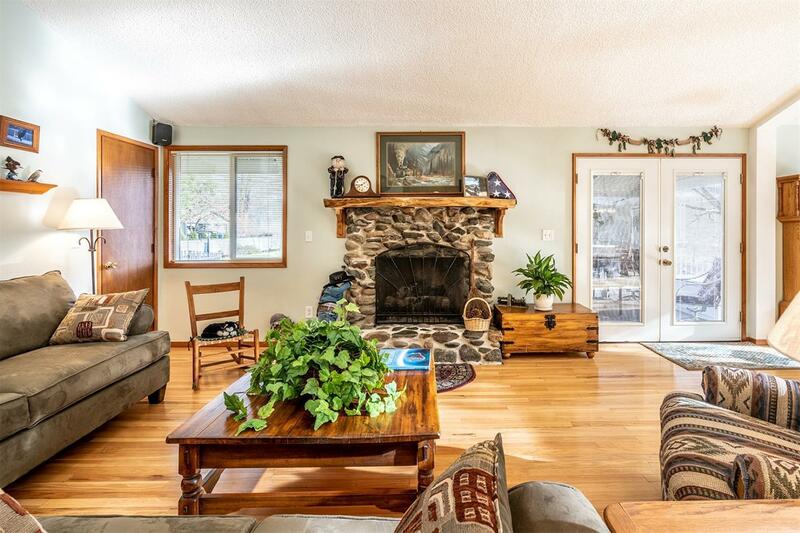 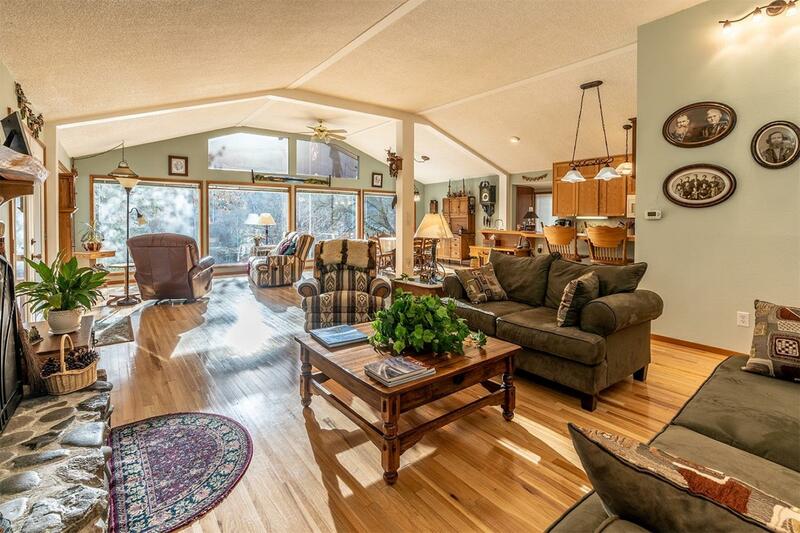 Vaulted ceilings, gas log fireplace with stone surround, oak hardwood floors & French doors lead to an expansive covered deck overlooking the river. 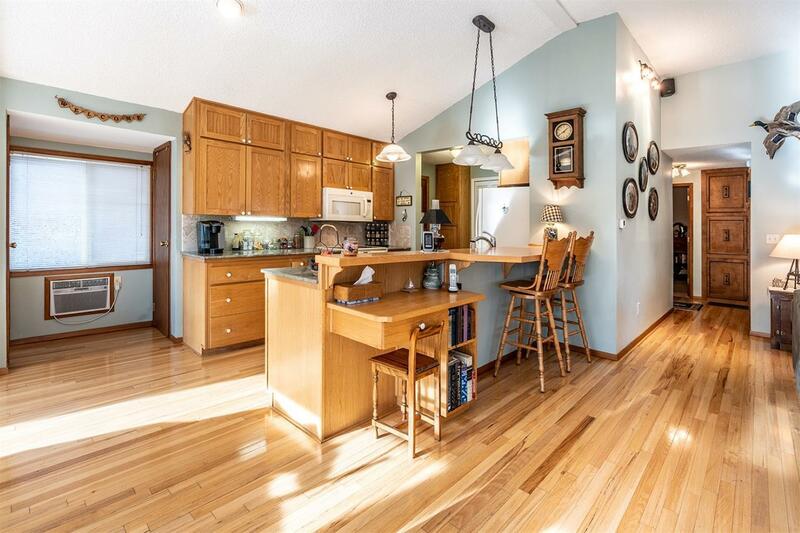 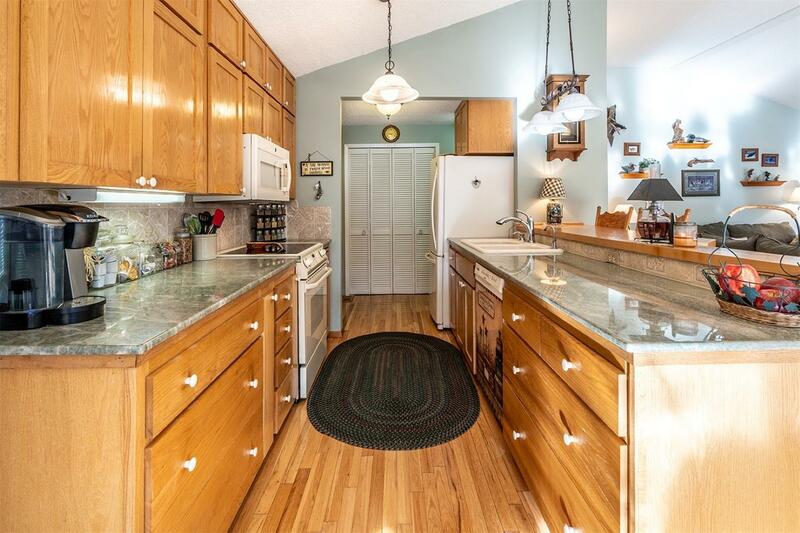 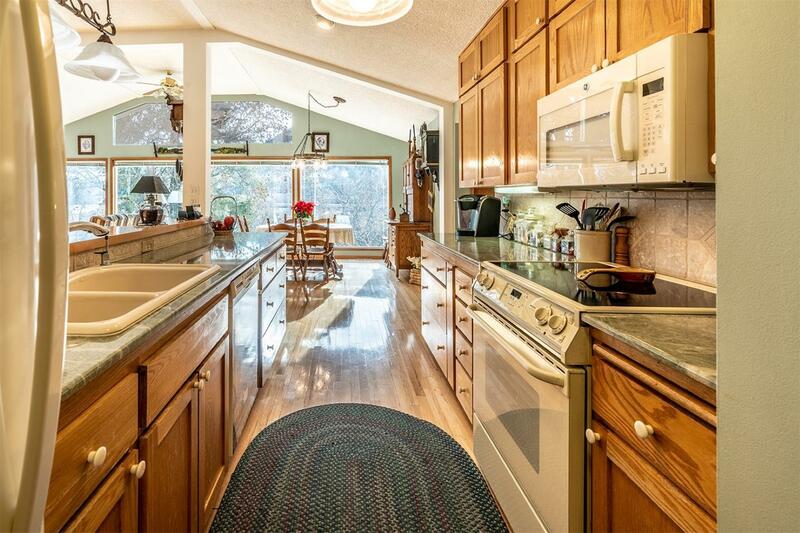 Bright kitchen with granite countertops, tile backsplash, undercounter lighting & pantry. 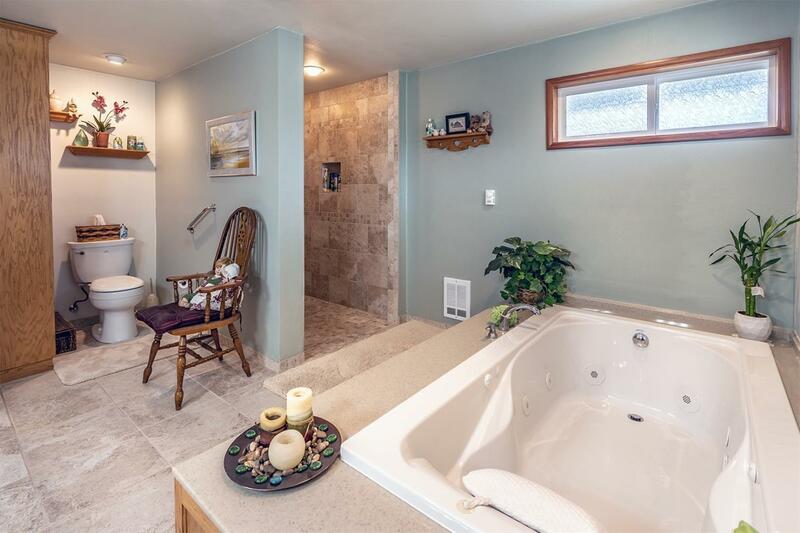 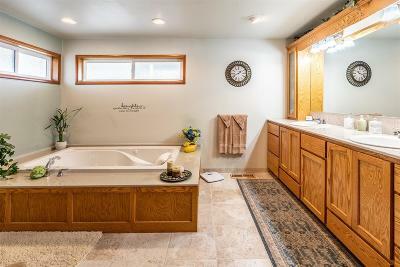 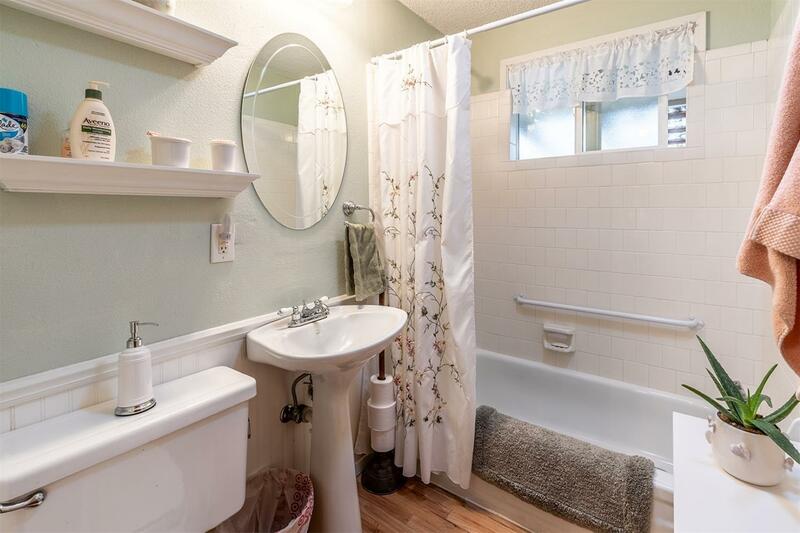 Large master suite with a jetted tub, double vanity, tiled shower & floors & handicap friendly. 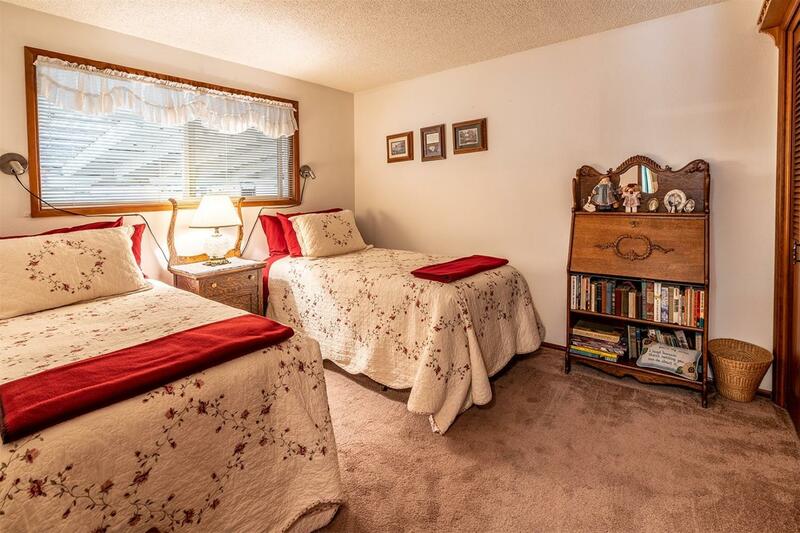 2 bedrooms & an office or 3rd bedroom with its own access. 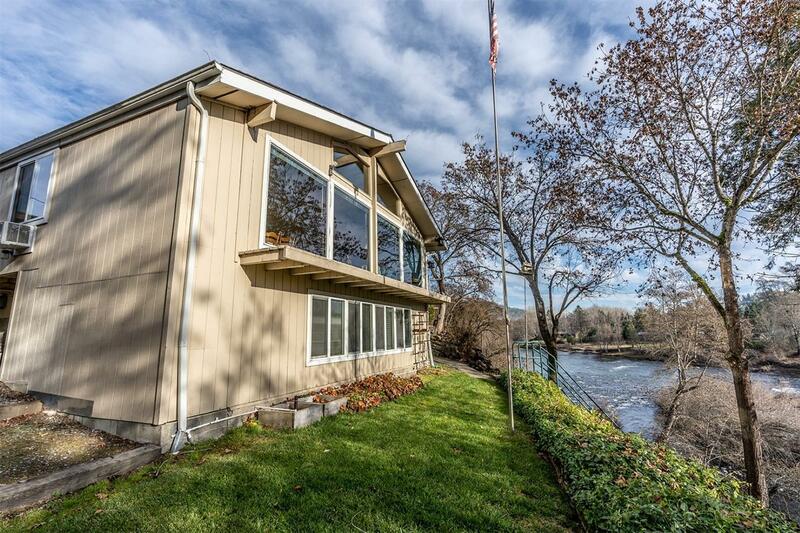 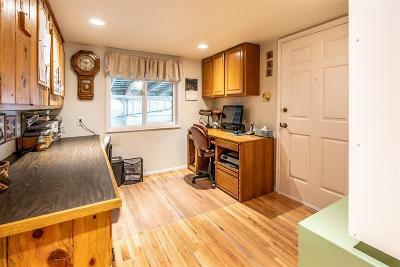 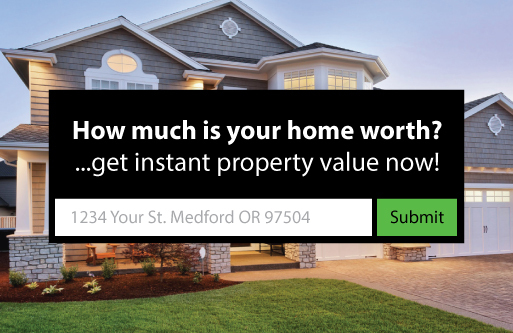 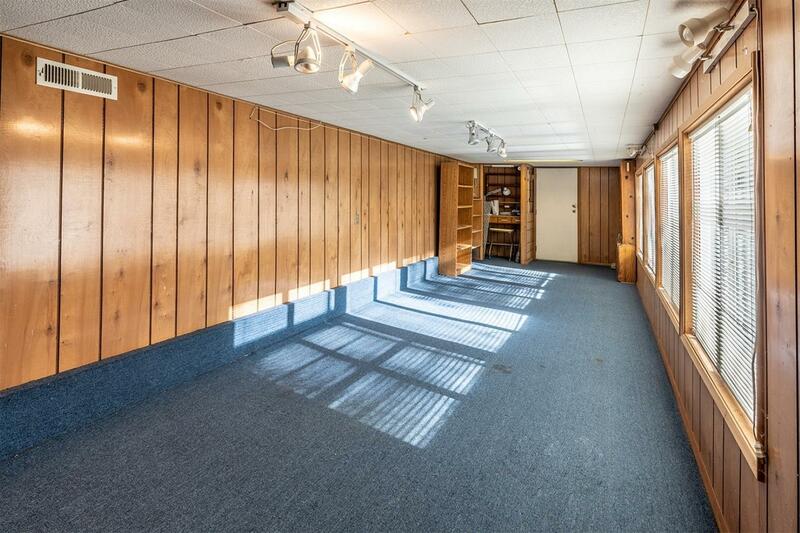 10x28 bonus room w/closet, private access & river views perfect for an in-law area or 4th bedroom. 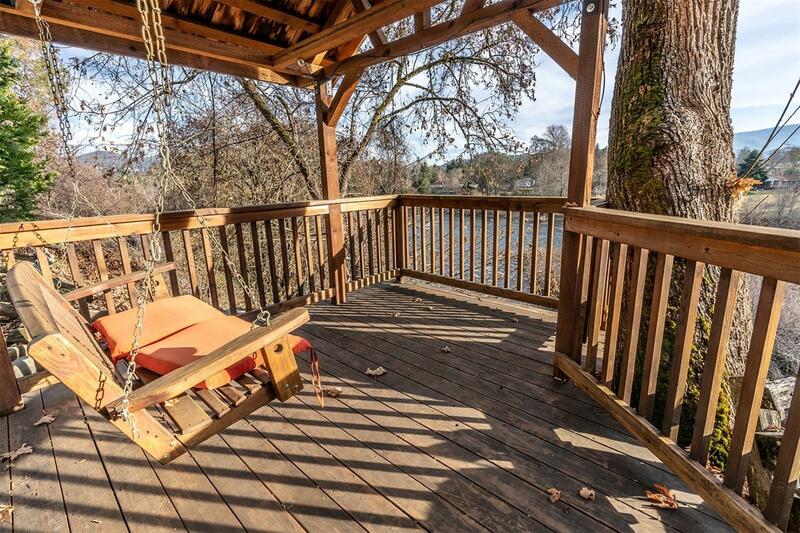 Landscaped, fenced yard with gazebo & swing, garden area & river sounds from below. 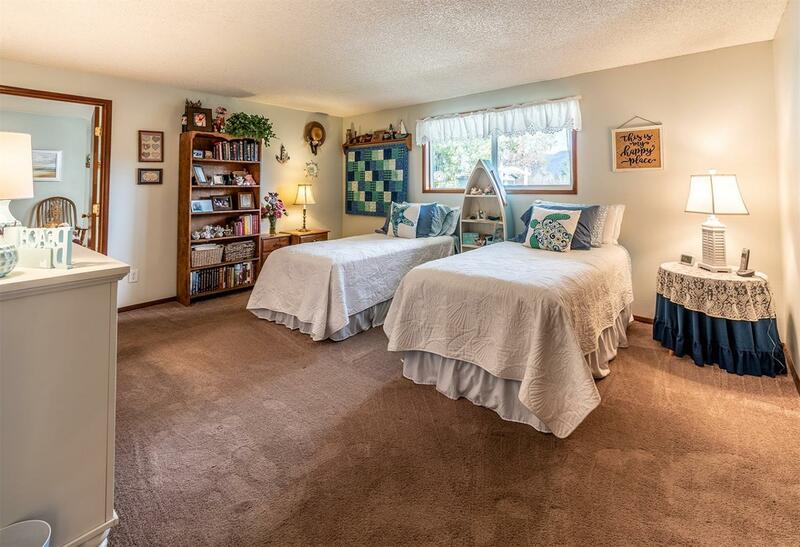 2 car tandem carport, city services & walking distance to downtown. 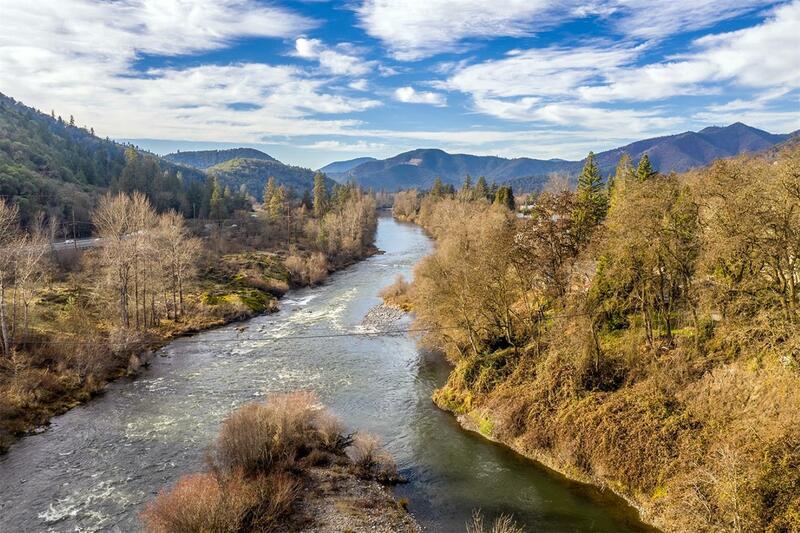 Directions: I5 North from Medford take 1st Gold Hill exit right to Blackwell Rd. 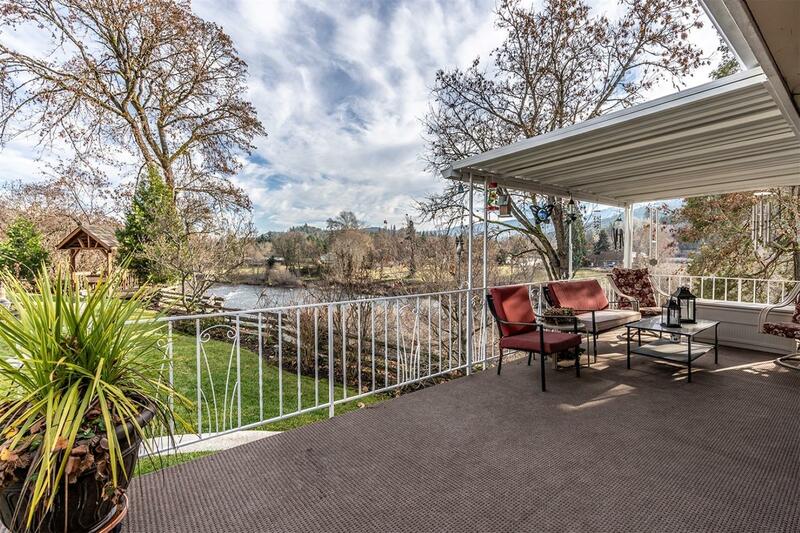 Left onto Blackwell Rd cross bridge, left on Dardandelle, left on 1st to end of road. 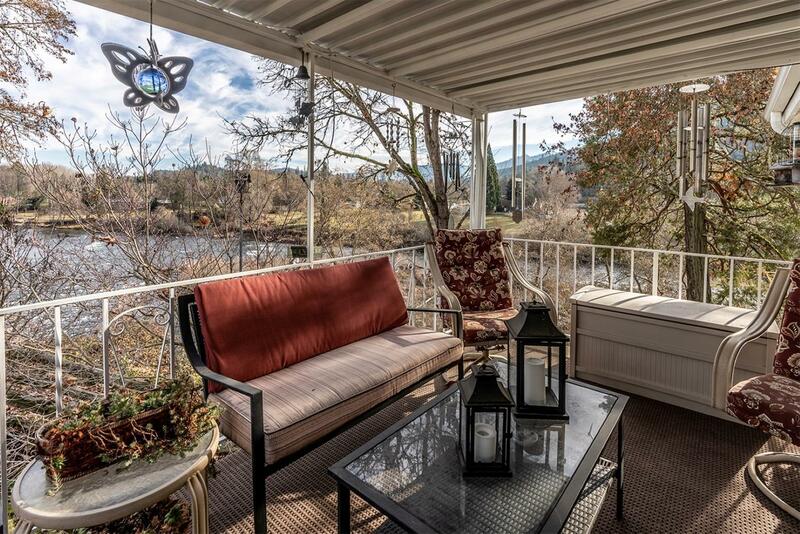 Right on Riverside Dr.